Who said you cannot wear skirts with the season changing to autumn now? Autumn is the perfect season to start layering pieces, but still allows us girls (and boys) to show some legs. Though, I have to admit, I have been asking myself how Japanese female student manage to wear stocks and skirts all winter through when I am usually already fully equipped with a jacket, boots and a hat since I am super easily getting cold. You can imagine how lucky I was still being able to rock some shorts and skirts before I have to go back to my cocoon of layers to keep me warm during the cold season. I wore my recently favorite pleather skirt with a simple grey sweater to break the otherwise black on black combo. Plus this sweater is super comfy thanks to the soft material (I even wore it at night going to sleep, ooops). 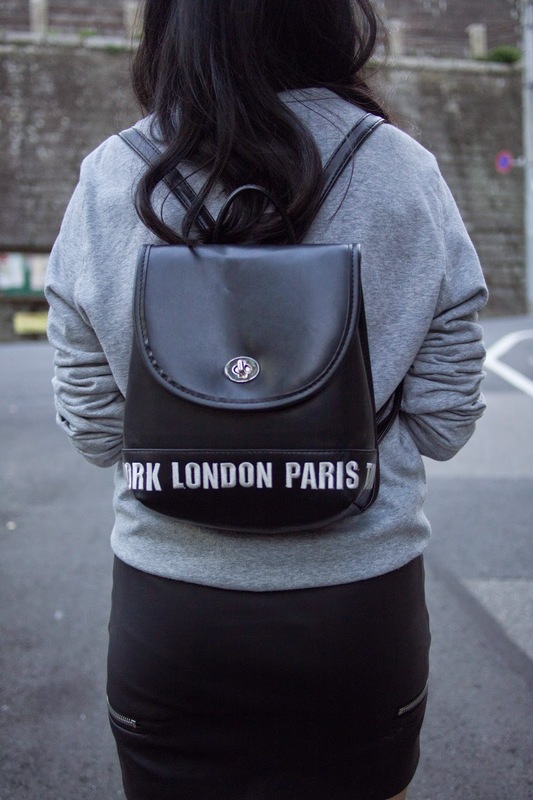 My all time favorite back is this black backpack that has the names of some fashion cities stitched on it. This thing follows me EVERYWHERE in Tokyo. 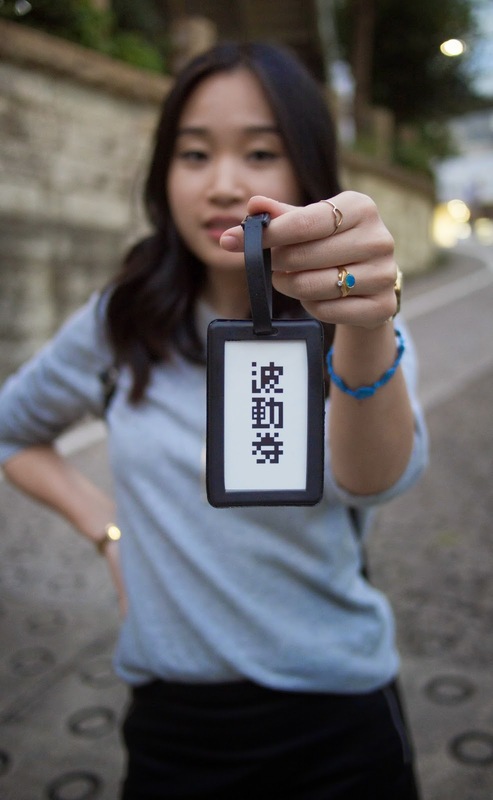 My 波動券 - suica subway card cover for those of you who are familiar with the game Street Fighter. Four months have passed since I moved to Tokyo, and there is still so much to see and explore, not just in Tokyo but in Japan in general. I was busy with work that I didn't really had time to go back to being Tourist-Mi but I am still very grateful for waking up every morning in this magical town called Tokyo and spending my time with my old friends and some people who eventually became new friends. If anyone of you has an insider tip on where to go, what to eat and where I can share one of my legendary dance moves with the world up until the early mornings, please let me know. I would love to read it !